Google has recently announced 100 things at the recent I/O'18 - a three days developer festival, held at California from May 8th till 11th, 2018. One of the main product update is Google's smart compose Gmail feature, as their new feature powered by AI - Artificial Intelligence. 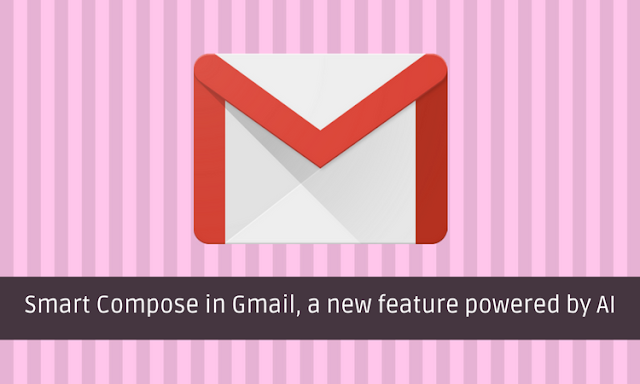 The all new Gmail account is smart compose feature enabled to write email faster. The new smart compose feature on Gmail helps you save your time by stopping your repetitive writing such as typing consistent. This feature will reduce the chances of spelling errors or any grammatical errors like before. With smart compose all you can do is, just keep on typing and rest happens smartly. As he rightly said, I feel that resonates here now with Google announcing all 100 things at once. These are really hell of a lot things to inculcate for sure. There are few other updates as well such as, Confidential Mode that allows you to send messages and attachments to protect any sensitive information. You can set limitations to recipients on what they can do with your email. 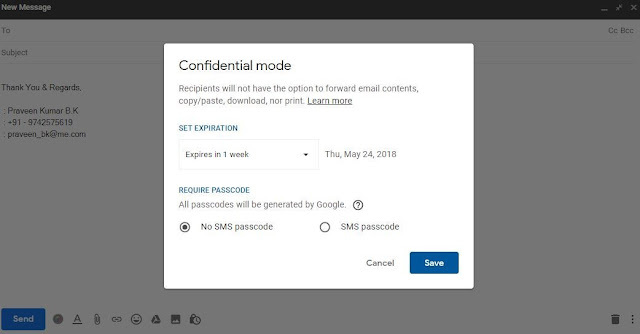 Such as, forwarding, copy or paste, download, print email content by setting an expiry date, requiring SMS passcode and so on. With a new Gmail, you can install Add-ons to new sidebar navigation from G Suite Marketplace, that will help improve your productivity. Add-ons such as, Google Calendar, Google Keep, Tasks and select many such under different categories. New Gmail account has a feature to 'Snooze' your emails and reminders, a feature that temporarily removes your snoozed emails from your inbox until you need them back. You can Snooze emails on any given day in the future, it may be tomorrow, during any day of the week or weekend or you can pick the custom date and time. The Google's updates to all new Gmail are undeniably interesting! Now let's learn, how to upgrade from your current Gmail to all new 2018 Gmail with smart composing feature? Select the very first option "Try the new Gmail"
Hurry!!! don't wait to switchover to new Gmail. 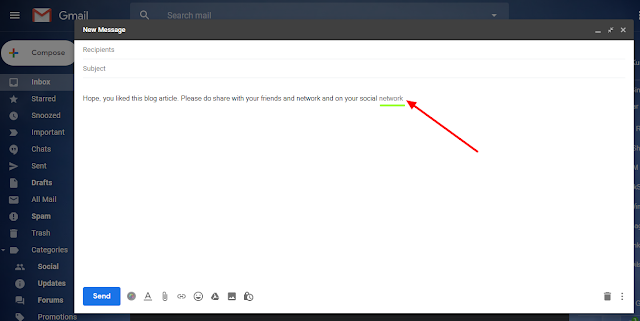 This article is for individual account holders on Gmail and not for G suite users. Do you have many followers on twitter?Looking to export, list of your twitter followers to excel?Wish to know, who’s your potential follower out of all?What about having their name, location, handles, profile link etc.? However, exporting your twitter followers manually is, like a mine tour of the long tunnel gold mine. Scrolling your profile from top to bottom and sorting them one by one. 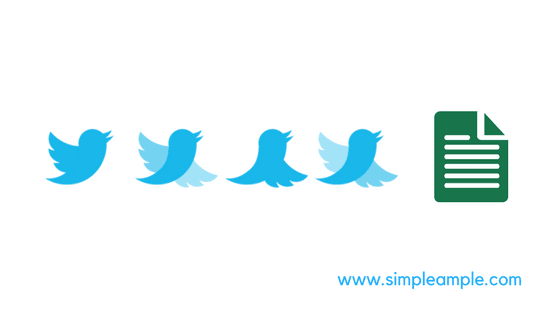 I have mentioned some easy methods below, to export entire list of twitter followers to spreadsheet along with their name, account status, bio, profile handle, user followers count, location, last tweeted status and more info. 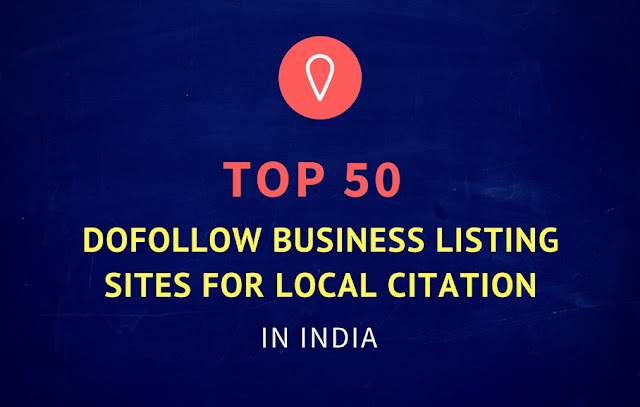 Before we dive into subject, we should comprehend few key zones which people normally ask about; I will brief them extremely basic and after that move onto our main topic of the day “50 DoFollow business listing sites in India”. 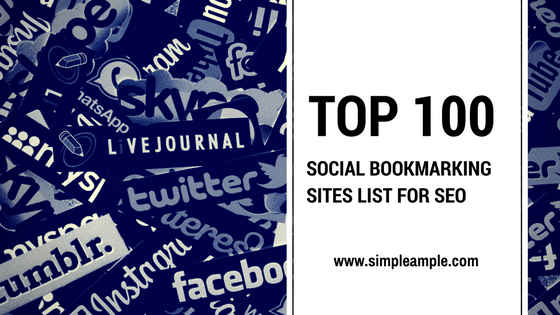 This blog is my first of its kind, after so much research and validation I have listed some top 100 high page rank and doFollow bookmarking sites. A list is of valid, reliable, with high PR, high PA(Page Authority) & high DA(Domain Authority) sites, sorted for different locations. Hope, you might find these useful. Anyhow, on Google you might find similar articles such as, “top 10 to top 1000”. But, believe me! All those articles are obsolete and lead you nowhere but deceased domains, which are already expired or non-significant sites. OK! if not all, at least some for sure. Most are “Link Baiting sites” which rank higher but, serve no purpose. Thus, I have listed below some top-notch bookmarking sites for your daily off-page SEO.